Today is my three year blogiversary.......woohoo!!! leaving a comment and/or a compliment. Awww...thanks Anon! That really warms my heart. Congratulations De Cocoa Panyol! I also read your blog everyday. 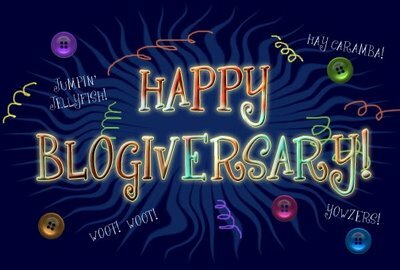 Great work and Happy Blogiversary! Thanks Collabo I really appreciate your support. I follow your blog too....and I LOVE your pouches....what a fabulous idea!!! I will definitely be sharing this info with the readers.